8 Important Guidelines for Building a Secure Mobile App will help you to understand that phone applications are everything in today’s market. We discover it in each and every type of business, in nearly every household in America and in the hands of people all over the world. People usually naturally trust these clever and easy interfaces, supposing that they’re free from danger. That type of trust needs to be respected by developers. It’s trust between companies and users which make this entire method work. Security should be a top-notch concern for mobile app developers. What’s the main reason behind security issues on mobile apps? App mis-configuration is a major reason behind mobile security breaches. Actually, based on the research company Gartner, 99% of mobile app breaches in the next three years will have been known issues that have been lingering for at least a year. The bottom line is that, though mobile technology development is developing quickly, the basics of security remain the basis for everything. Mobile app developers still neglect open security issues – but you don’t have to! Developing a secure mobile app involves some attention and extra time. That time might seem onerous on the front end, however in case of security breach, you’ll be happy you made the investment. Generally, users are not at fault for app security issues. The days are gone when issues arose from people opening up a spams email or visiting a suspicious site. Today, as mobile technology grows more prevalent, the issues are on the other side. 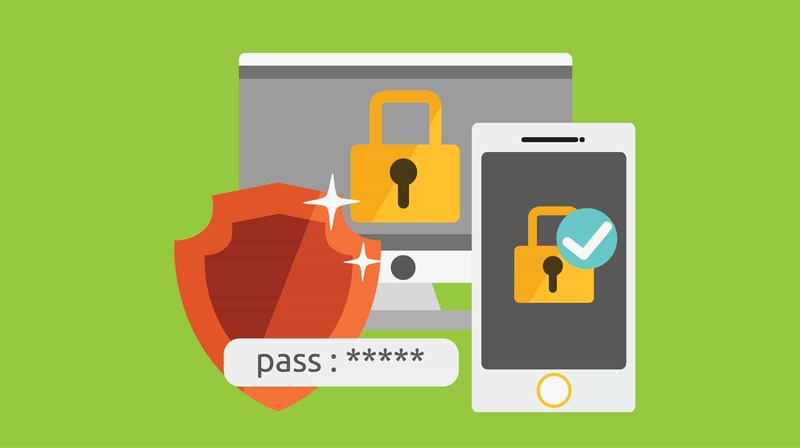 Which are the essential steps for ensuring mobile app security? Here are eight things that you can use to ensure that your mobile applications aren’t vulnerable. This has to happen from the server side of the application. Secure configuration practices and coding that is created with breaches in mind starts you off on the right foot from the very beginning. Mis-configuration starts with coding, so get the API right and you’ve won half the battle. Mobile applications can become sieves if not properly sealed up. There are a numerous methods for data to be copied and drawn out, compromising the user and giving potential hackers everything they need. Look for screen captures, backup logs, caches, etc. that aren’t in the normal pattern for data leaks. If you haven’t found at least one leak during your testing process, then you’re probably not looking hard enough. A main breaking point in app development is available in the form of broken cryptography. Encryption algorithms have to be designed with a serious level of power in order to keep malicious parties on the outside. It’s not uncommon for implementation architecture to be flawed in fundamental ways, leaving your application open and ripe for the picking from those with ill intent. There are plenty of risks out there for mobile applications. Tampering is a huge security threat, as is malicious analyzing. The bad guys are out there, and they’re savvy at reverse engineering mobile applications to create havoc with user data. Binary protection is a crucial component for developers who are serious about preventing security breaches. Though transit is where you’re most likely to get issues with security, that doesn’t mean it’s the only vulnerability. Data storage provides a huge potential for security breaches. Your storage of secure data needs to be encrypted and tested much in the same manner that other elements of your mobile application are tested for security. Remember that hackers are often searching for the largest bang for their efforts and that can mean going to the place where they can get lots of it all at once – your server. Don’t think that you’re safe unless you’ve tested your data storage site thoroughly. Testing is an essential hassle that must be completed for security to be accurately assessed. Whether you decide to do testing in house or to outsource it, you’ll want to make sure that security is examined at every stage of app development. Don’t be cheap on this portion of the process, you’ll regret it later. It’s a typical assumption in mobile app development that authentication is a one-time thing. In reality, it’s important to verify users with regularity to make sure that they’re properly vetted for security purposes. Don’t assume that because a user has been authorized securely once that they should be trusted to do anything and at any time. Though re-authorization can seem like a downer for the user, if you’re upfront that it’s in service of security, your users aren’t going to mind. Security is something that has to be revisited over and over. Even if your initial release turns out to be completely prepared for in terms of security, you’re going to quickly find that you’re not prepared for prime time next year if you don’t patch your app. Create a schedule for security work on your mobile apps and then make changes to remedy problems that crop up. Making sure that your mobile app is designed and applied with security concerns in mind should be a high priority for you as a developer. Though it can be simple to allow this problem to take a backseat to other user interface difficulties that are more noticeable in the marketplace, potential catastrophe looms if you do. Weaving security considerations in throughout the development process is the most efficient way to make sure your app’s long term success, as well as to live through integrity for your customers. The simplest way to ensure that your mobile app is secure is to have trusted, experienced mobile application developers. If you are planning on creating a mobile app, but have security concerns, contact Best Mobile App Development Company in Indianapolis, Indiana. We’d love to help you out!